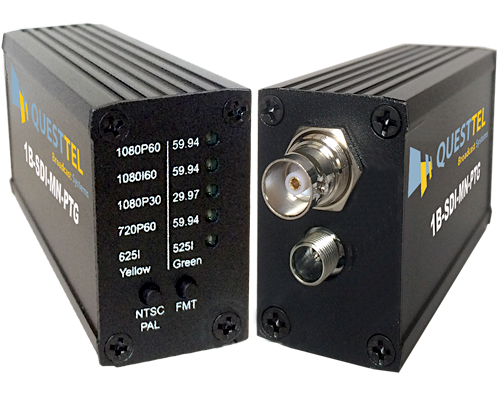 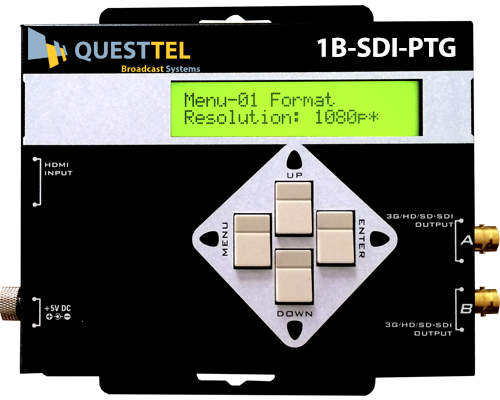 QuestTel 1B-SDI-PTG 3G-HD/SD SDI Pattern Generator is advanced SDI pattern generator with multi-format and multi-pattern support. 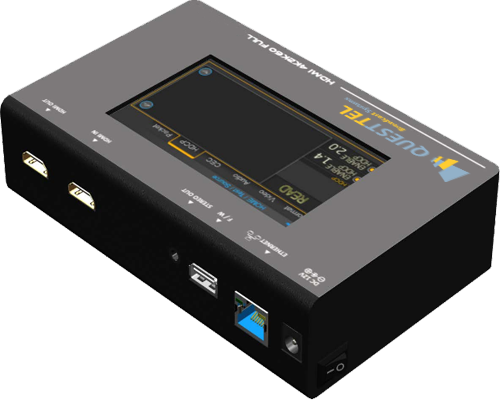 Supports still and moving video test patterns, and provides a lot of useful features like audio SMPTE-291M. 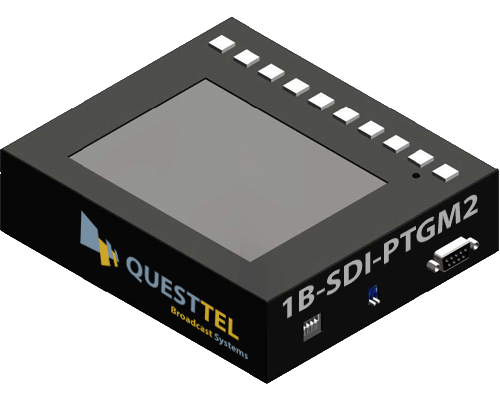 1B-SDI-PTG Pattern Generator supports up to 8 channels of AES compliant audio with 48KHz sample rate. 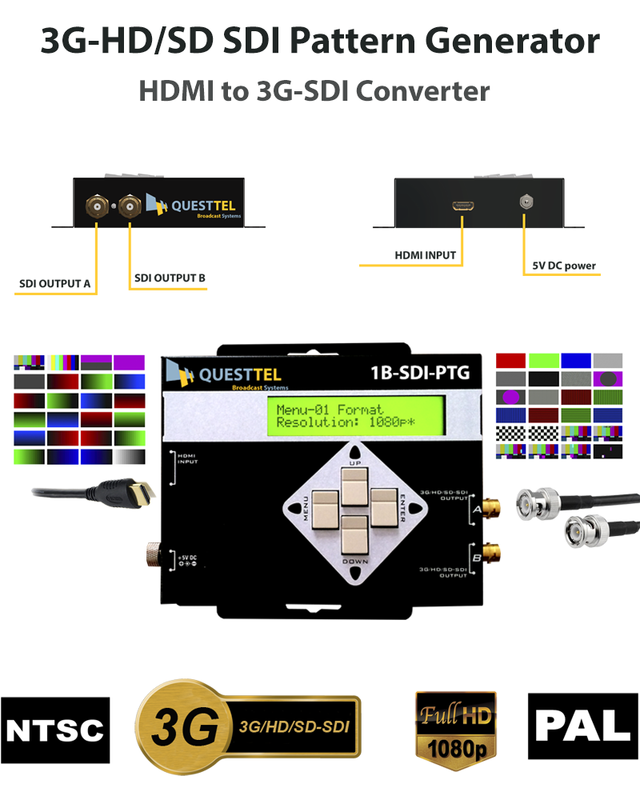 Multitasking of 1B-SDI-PTG comes from bypassing HDMI input which allows user to use more testing patterns for connected display or use 1B-SDI-PTG as SDI converter with 3G support. 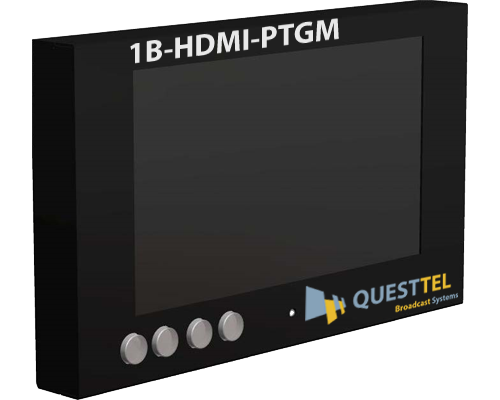 1B-SDI-PTG was designed with 4 control buttons and LCM screen for easy track and control.This SDI Pattern Generator offers a simple and effective way to calibrate and test SDI video displays and other devices.